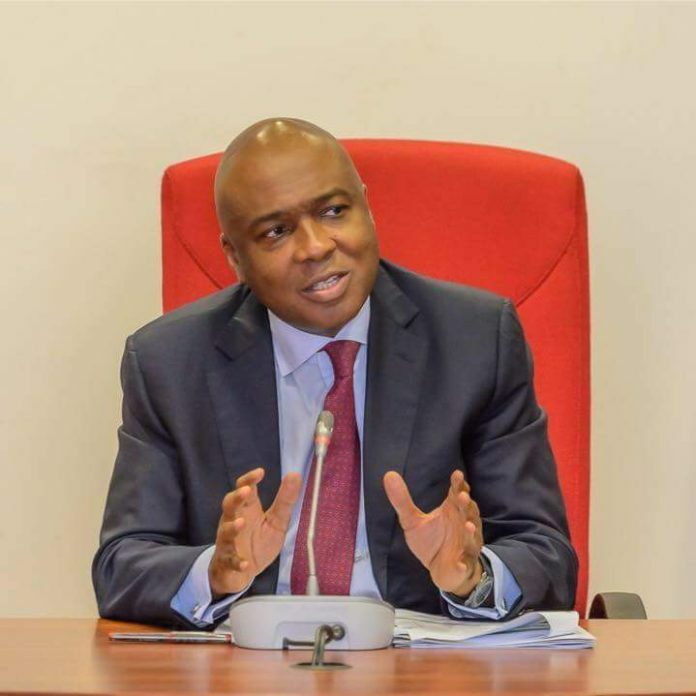 Senate President Bukola Saraki has said that the position of the Chairman of the All Progressives Congress (APC), Adams Oshiomhole, that he should be impeached is merely wishful thinking. A statement signed by his Special Assistant, Yusuf Olaniyonu, on Friday, said the APC will continue to dream about their plan to impeach him as they need 73 senators to lawfully remove him. “The position of Oshiomhole and his cohorts in the APC that the Senate President must resign is a mere wishful thinking. “They will continue to dream about their planned removal of the Senate President. They will need 73 Senators to lawfully remove Dr Saraki and they will never get that in the present eight Senate,” Olaniyonu said. Furthermore, he said the argument of the APC that the Senate President must come from a majority party, that the Senate presidency is their crown and that the National Assembly is their palace, is only supported by ignorance and dangerous delusion. He explained that Section 50 (1) (a) of the constitution is clear that any Senator can be elected as Senate President. Olaniyonu also stated that it was hypocritical to think that the same APC had jubilated when Honourable Aminu Tambuwal retained his position after he defected from the PDP, even when his new party was in the minority. He, however, maintained that the issue of which party is in the majority will only be resolved when the Senate resumes. According to Olaniyonu, the fair distribution of the Committee chairmanship is one of the stabilizing factors in the 8th Senate and has helped it in achieving more than all its predecessors. He, therefore, stated that all efforts by the APC chairman to impeach the Senate President will remain an exercise in futility. “We hereby assure this garrulous, tactless and reckless APC chairman that a million of Adams Oshiomhole cannot remove Saraki as Senate President. “His illegal plots can only feed his insatiable ego and keep him awake at nights. But it will remain an exercise in futility,” the statement read in part.